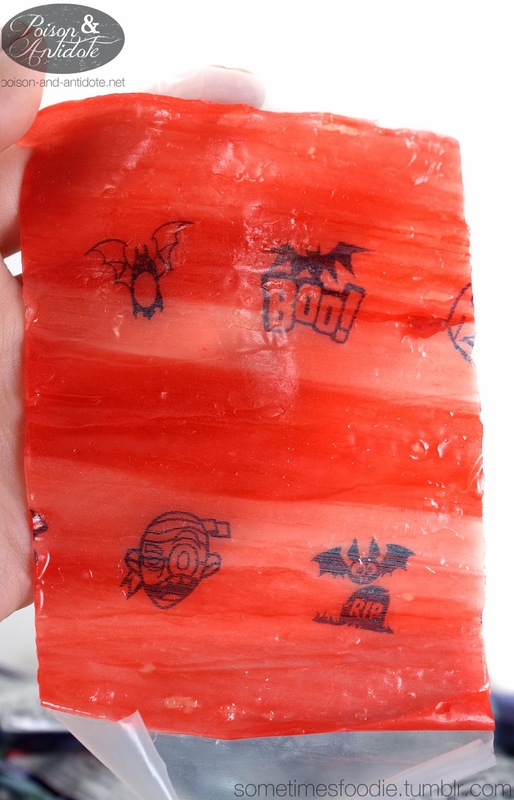 These are the same as another strawberry Fruit Roll-Up, just Halloween themed and miniaturized. So, instead of a review, this post is more like a Halloween shopping tip. Growing up, I loved these snacks and they were a very rare treat. (You were always the most popular kid in the lunchroom if you had one of these or a Fruit by the Foot.) 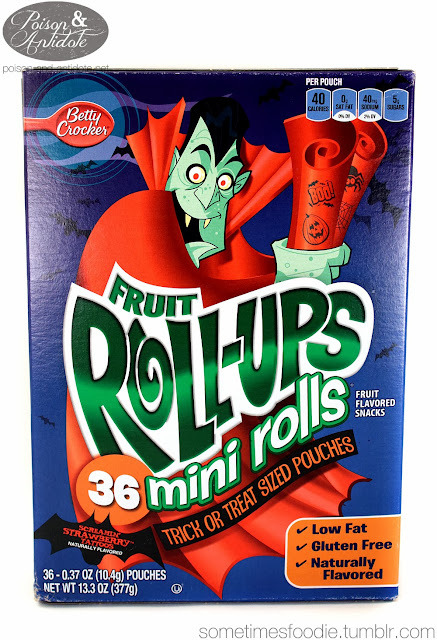 As an adult, I can buy them for myself, but they are pretty expensive for just a few fruity treats. (No wonder my mom didn't buy them.) 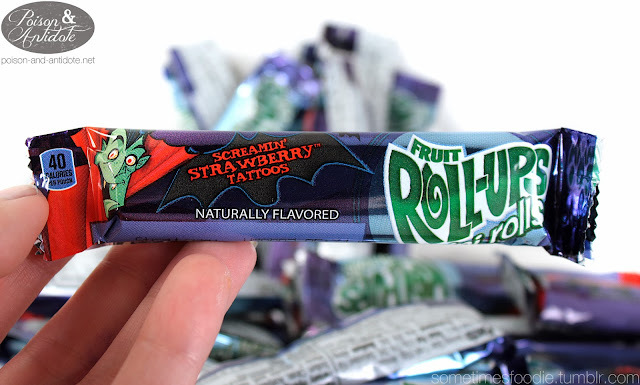 When compared to the normal fruit roll up boxes, this is a lot more bang for your buck. the portion size is a lot more manageable than their full sized counterparts (40 calories each). I hope you guys enjoyed this little Halloween candy tip!